On the road: yesterday was Day 1 of the 2014 Salt Lake Institute of Genealogy — and great fun in sharing what was behind one of The Legal Genealogist‘s brick walls — on the German side for a change. It’s a word we use all the time. And, as you might expect, it doesn’t mean anything like what we expect it to mean when we use it in the law. Because it isn’t even drawn from the English, or common law, tradition, when it’s used in the law. Instead, it’s a term from the civil law, which has its origins in the old Roman codes and made its way to America through Dutch, Spanish and French colonial codes. So where are we going to see this? Notarial records, primarily, in places like Louisiana or French Canada or Puerto Rico or any of the many many other jurisdictions where civil law, rather than common law, provides the basis of legal decision. Understanding the term, and seeing if it’s coupled with any of the other phrases that add flavor, may help distinguish a gift from a loan from a sale in a record. 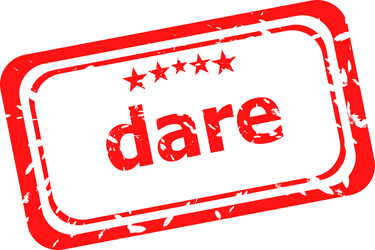 So yes, Virginia, there is a dare,6 but not in Virginia, which followed the common law. It would be helpful to know how these terms are commonly abbreviated in documents. Maybe you could explain why “Black’s Law Dictionnary” is spelled with two n’s. Let’s see here… how many words typed correctly versus how many not? Hmmm… there’s one in every crowd. Thank you for sharing Judy! It looks like an easy term, but this is not really the case. Good explanation.